Brighten and shining hair enhances your personality a lot. In this hectic environment, it becomes daunting to give excess care to your hair. But a little bit care can be invited. Hair spa at home is the best remedy to get flawless hair every time. Even you can go with the spa and salon in delhi option to give your hair deep oiling, shampoo, and conditioning whenever you feel dull and stagnant hair. Thorough massage into your hair or scalp area is the first step towards an amazing hair treatment at home. For this, you can warm up coconut oil, almond oil, or olive oil. Gently massage your scalp area and tips of your hair as well. If you have heavy hair, you have to give much of your time to get a deep massage. This tactic will help you to increase blood circulation and boosts your hair growth. Once done with hair massage, the next step of loreal hair spa is to giving streaming. For this, dip a towel in warm water then squeeze it to remove excess of water before wrapping it around your hair. This tactic is highly appreciated as it will help you to give deep penetration deep into the scalp. Keep streaming your hair for 10-15 minutes. Once finished with step, the next would be washed your hair with loreal shampoo only to get flawless hair. For this, make sure to use the cold water because hot water is harmful to the hair roots as it damages the entire hair. To give conditioning to your hair, you can use Loreal conditioners like Loreal Paris total repair conditioner, Loreal Professional Absolute Conditioner, and Loreal Paris Fall Resist Anti Hair Conditioner. Apply this hair conditioner only after removing all shampoo from your hair. 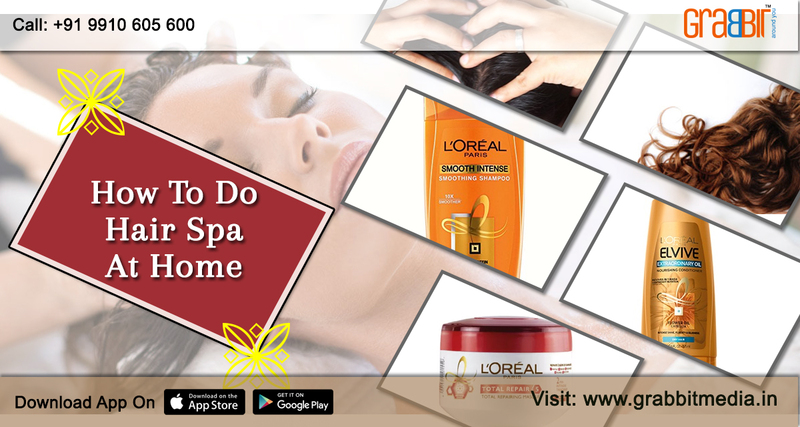 The last step of hair spa at home is imperative as it gives required nourishment to your hair. For this, you can use hair masks offered by Loreal like Loreal Instant Repair Hair Sheet Mask, Loreal Deep Moisture Hair Sheet Mask, and others. Keep it hair spa cream on hair for 20 minutes only, then rinse with cold water. The hair spa benefits are a lot that can be only experienced if you start doing it at home or at spa and salon at delhi. It’s time to say goodbye to your stagnant hair to experience shining ones only with these 5 steps.